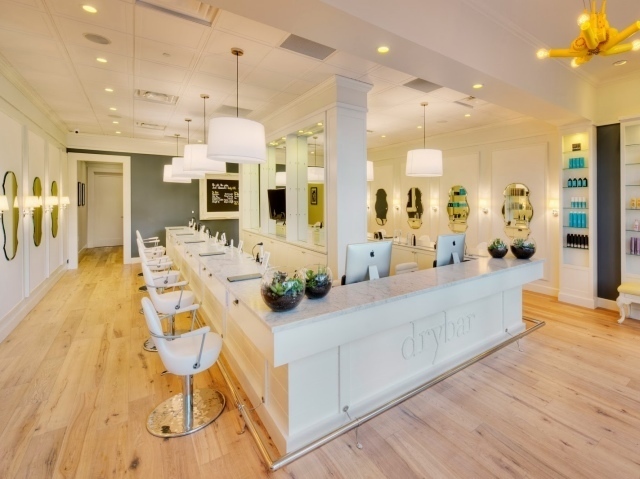 A true hit in Manhattan; The Drybar. As they say: no cuts, no color, just blowouts. 40 dollars will get your hair washed and blown dry in a fancy salon. Which is usually a nicely styled and designed narrow shop with lots of mirrors and chairs. You can find these salons all over Manhattan so there’s never one far away. And if you want to feel like Sarah Jessica Parker, it’s a nice experience. Blow, the New York blow dry bar opened her flagship blow dry bar already in February 2005 in Manhattan’s Meatpacking District. It was chosen as #1 blowout salon by Vogue, Allure, InStyle and other fancy magazines.